When iTunes prompts me for a new update, I would always accept. However, this time when I connect my iPhone 6s to the computer, I'm not able to back up my iPhone after latest update of iTunes. "iTunes could not back up the iPhone because an error occurred"
"iTunes could not back up the iPhone because an a session could not be started with the iPhone"
"iTunes could not back up the iPhone because the backup was corrupt or not compatible with the iPhone that is being restored"
"iTunes could not back up the iPhone because the backup could not be saved on the computer"
For the iPhone won't backup to iTunes error, there are basically 5 solutions. 1. Make sure that you have downloaded the latest iTunes. The latest version always fixes previous bugs. 2. Connect your device to your computer with a USB cable, and then select your device in iTunes. If your device doesn't appear in iTunes, you need to fix that issue before you can continue. Or, if you forgot your passcode or your device is disabled, learn what to do. 3. Restart your computer and iPhone. Then turn them on again. If you have problems with this, try Tenorshare ReiBoot from Tenorshare, a free iPhone reboot tool. 4. 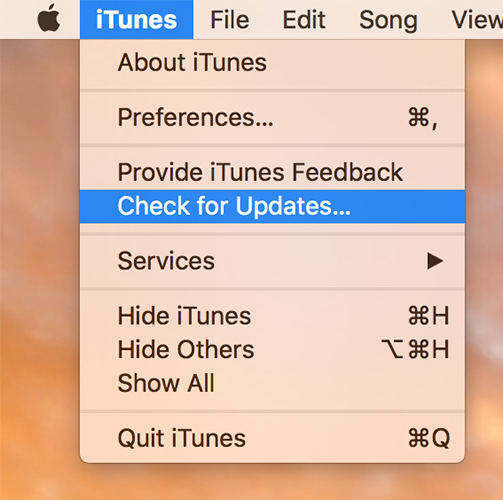 If you use a Windows PC and iTunes won't respond or your backup never finishes, you probably need to update, change, disable, or uninstall your security software. Mac users could do without this step. 5. For those who have more than one computer, try to make a backup on your other Mac or PC. Or, use iCloud to back up your device and restore from your iCloud backup. 6. To fix iPhone won't backup to iTunes, you can also try out Tenorshare TunesCare, which can completely solve all iTunes error. More often than not, your miserable is a result of your bad behavior. No matter you just start out your iPhone journey or have long been friend with iPhone, BACK UP YOUR IPHONE REGULARLY, and ENABLE FIND MY IPHONE. This done, your data will be recoverable and safe. However, not everyone could use iTunes and iCloud expertly as they wish. If this is also true with you, leave the backup procedures to Tenorshare iCareFone. This will free you from the limitations of iTunes backup. When iTunes could not backup the iPhone or you can't backup/restore iTunes backup for other reasons, Tenorshare iCareFone (iPhone Care Pro) can be a great alternative. You don't need to use iTunes during the whole process of backup and restore.